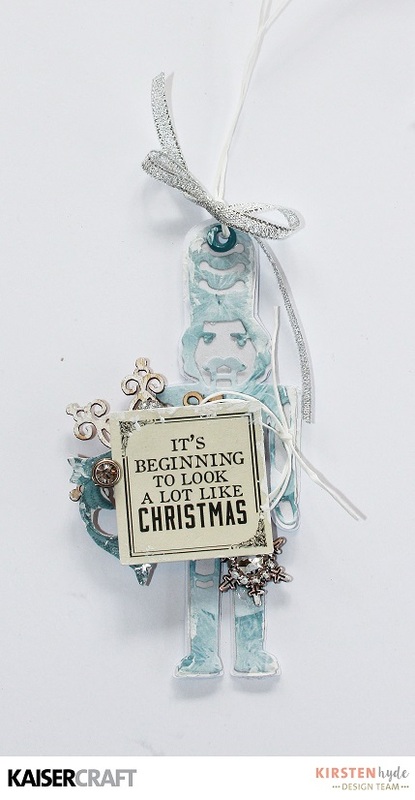 It is now three months until Christmas, and Kaisercraft has got some wonderful Christmas collections out this year. 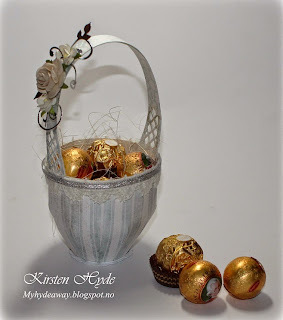 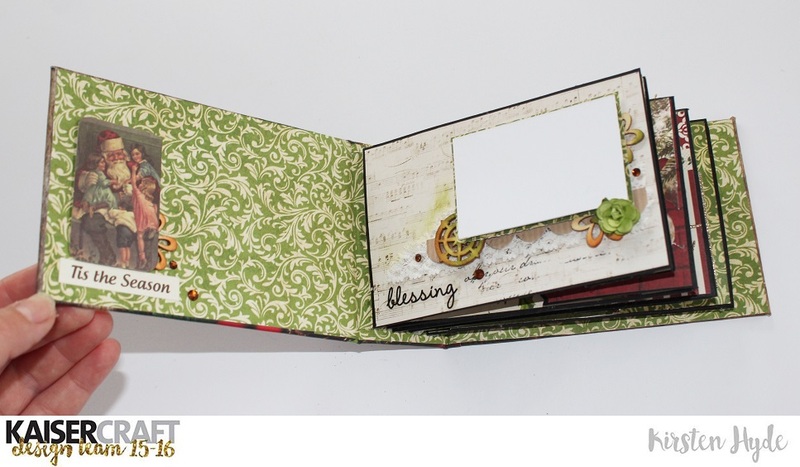 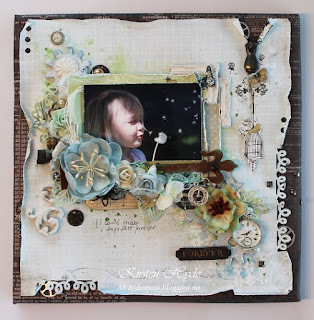 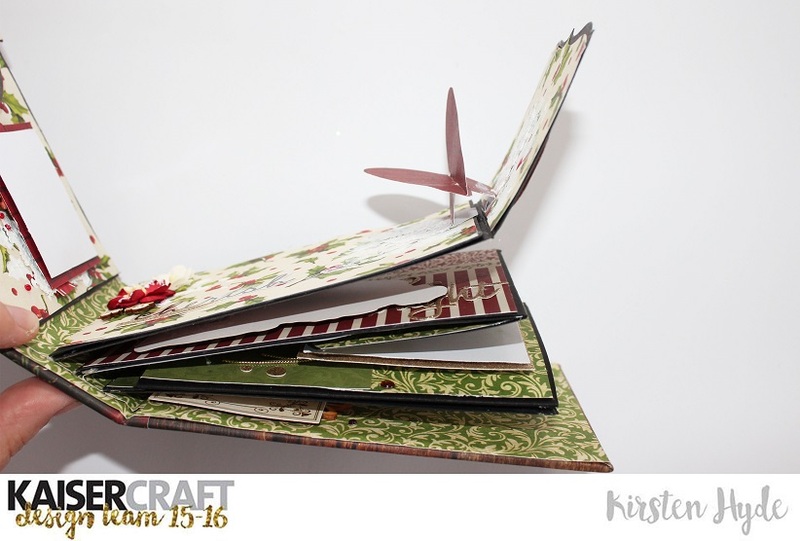 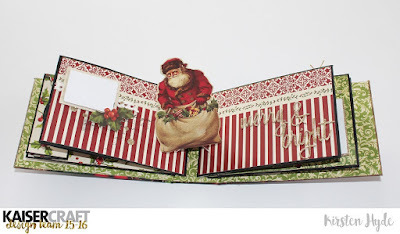 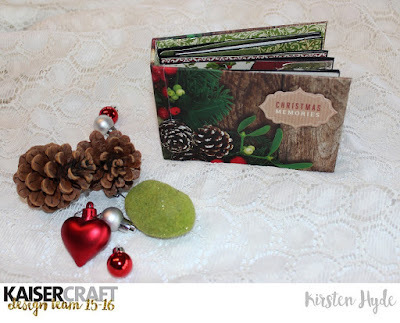 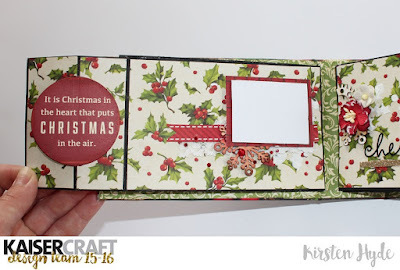 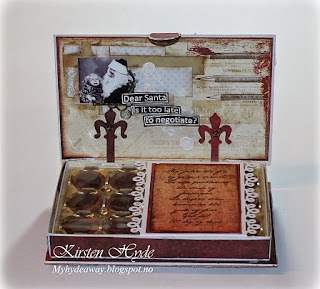 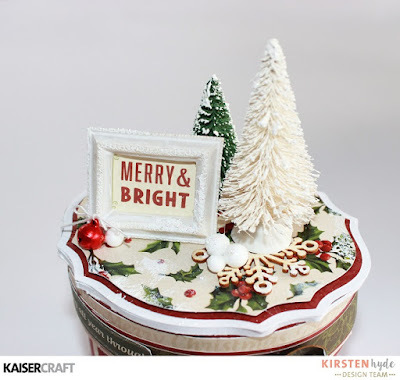 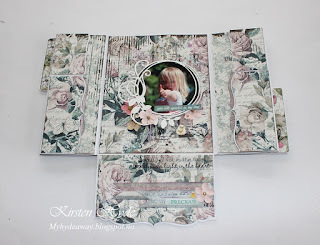 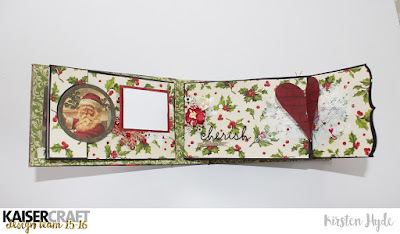 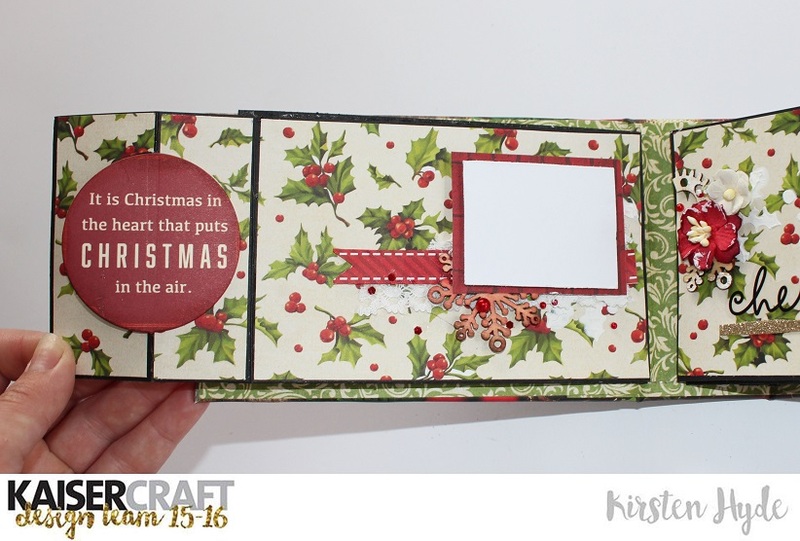 I have created a Pop-up mini album with with the Silent Night collection, for this weeks Tutorial Tuesday, in Kaisercraft's blog. 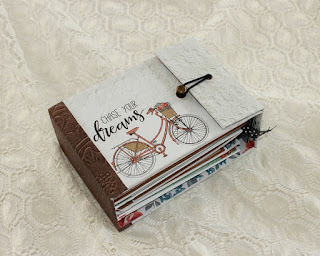 The album, is quite a simple album with four pages. 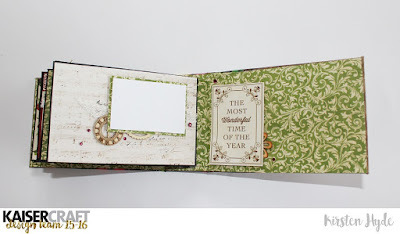 The first page is decorated with lace, wooden embellishments and flower. I left space for a photo. 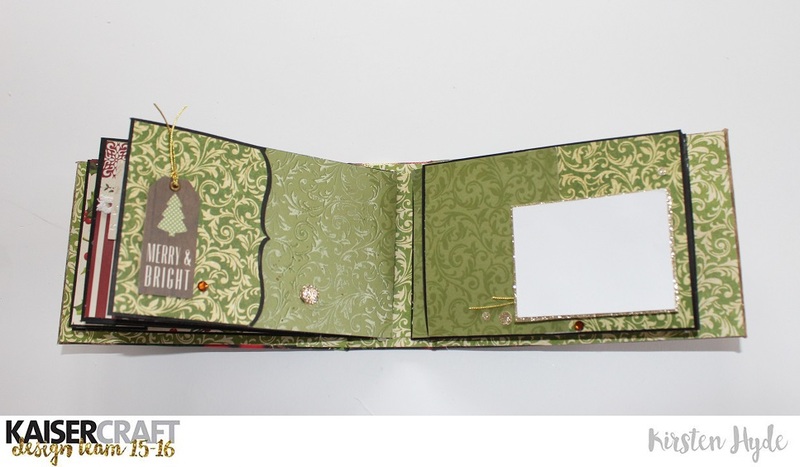 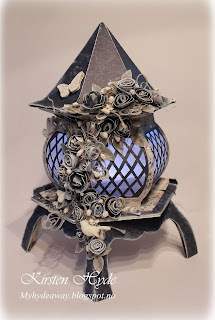 The next page is decorated with flowers, wooden embellishments, pop-up effects and space for a photo. 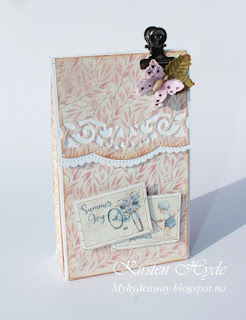 This page, is decorated as a "swing" card. 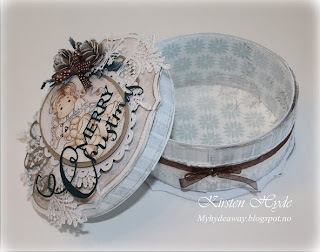 I have used the half circle from one of Kaisercraft dies, DD318 Decorative Die CC Snowflake, to create the effect. This is shown in the tutorial at the end of the blogpost. 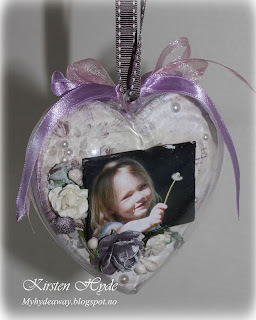 On the other side, there is a heart pop-up. 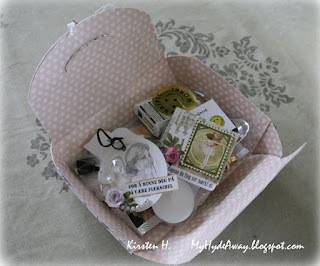 The tutorial for this pop-up heart, is shown in the video at the end of the blogpost. 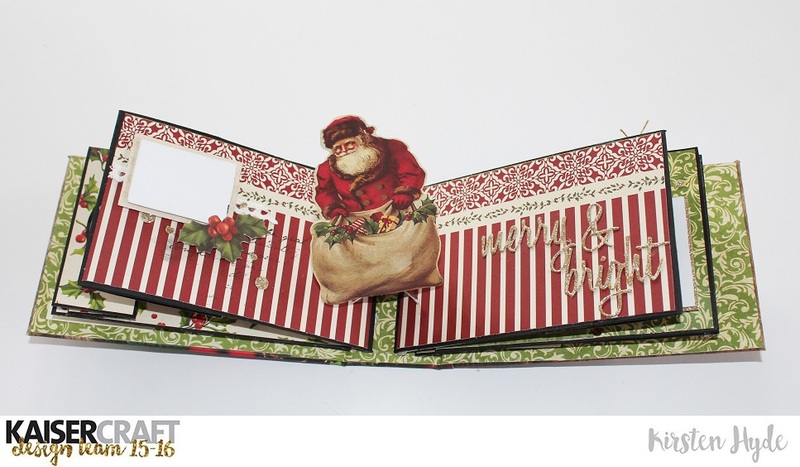 In the middle page, I have got a pop-up santa. 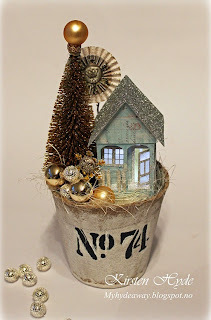 The tutorial for this pop-up effect is also shown in the video. I have also left space for a photo on the left side. 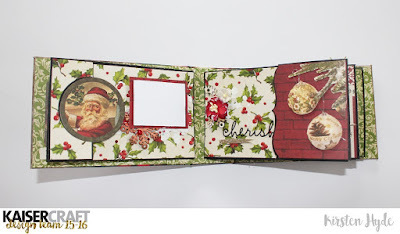 This page is simply decorated, with space for a photo. 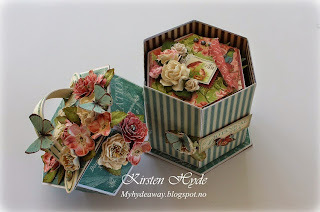 On this page, I have created a pop-up cube. 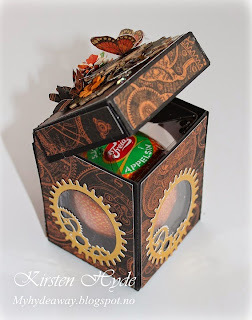 You can find the template for the cube in this blogpost. There is a rubber band inside the cube, that makes it pop-up, when the page is opened. 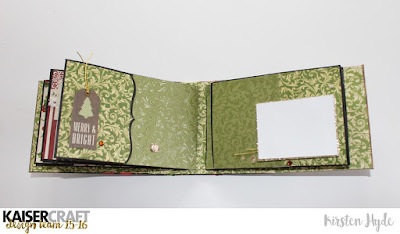 The last page is simply decorated with lace and wooden embellishment. 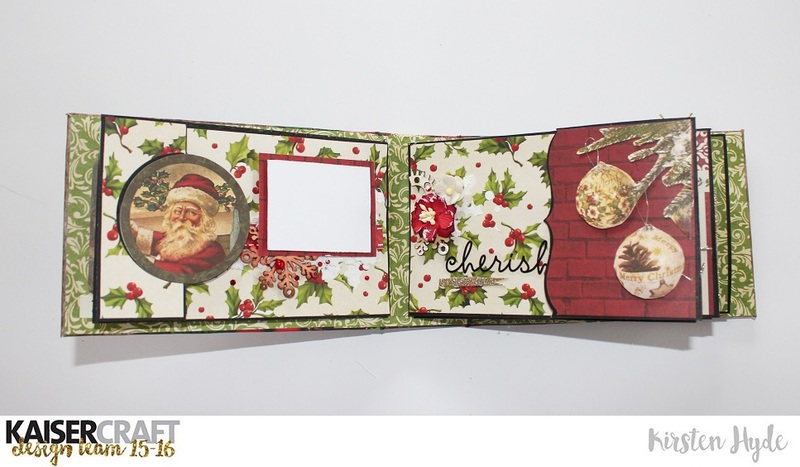 There is space to add a photo. 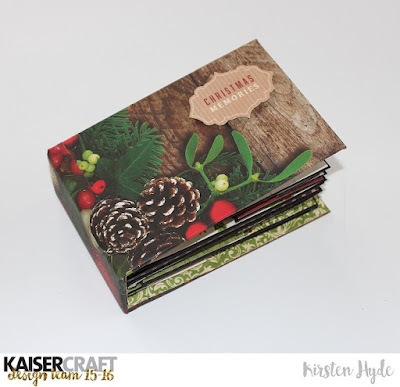 Kaisercraft Products: Silent Night collection: P2151 Down the Chimney | P2152 Family Time | P2153 Making a List | P2154 Bake Gingerbread | P2155 Sing Carols | P2158 Wrap the Presents | SS320 Sticker Sheet | PP1004 Paper Pad | CT863 Collectables | IT916 Designer Templates Holly | DD318 Decorative Die CC Snowflake | SB795 Pearls Red | RS404 Rhinestones Champagne | EM926 Lace White | FL584 Flourish Pack Snowflakes | FL574 Flourish Pack Antiques | ST925 Clear Stickers Family | IP734 Ink Pad Cherry | IP729 Ink Pad Tangello | IP730 Ink Pad Avocado | IP719 Ink Pad Black | IP722 Ink Pad Red Gum | IP723 Ink Pad Vintage | CS257 Background Script Clear stamp. 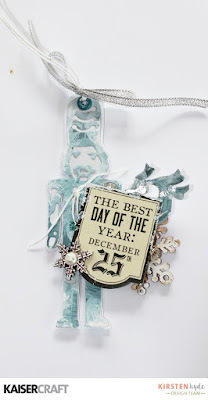 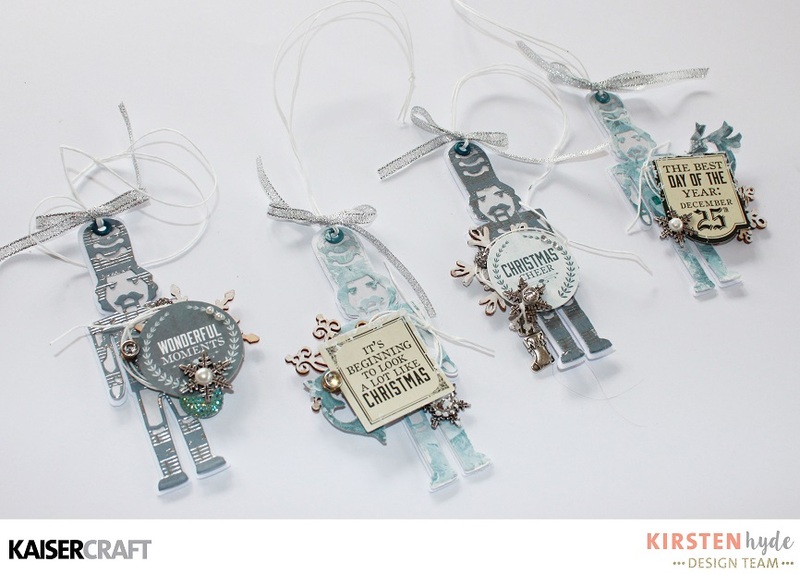 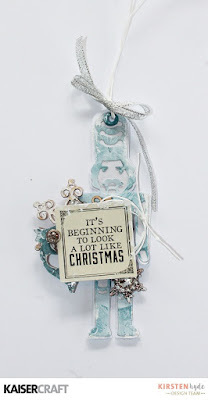 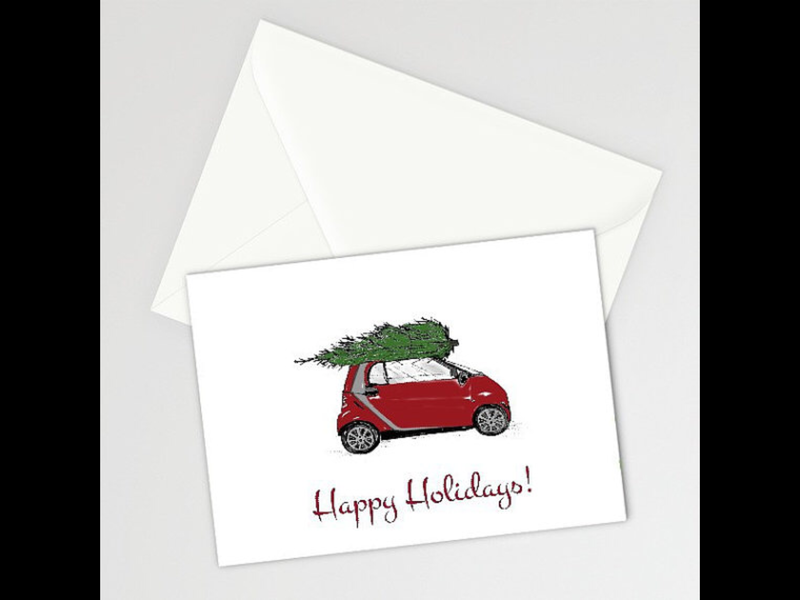 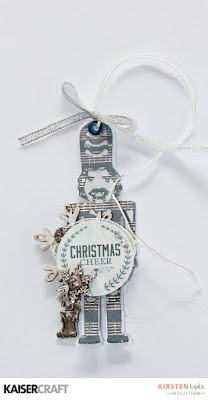 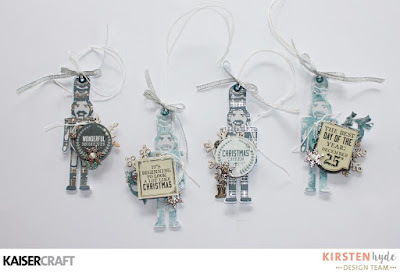 We are showing Christmas tags with the Frosted collection in Kaisercraft's blog today. This time, I have created shaped Nutcracker tags, using one of Kaisercraft's new dies together with the Frosted Collection. 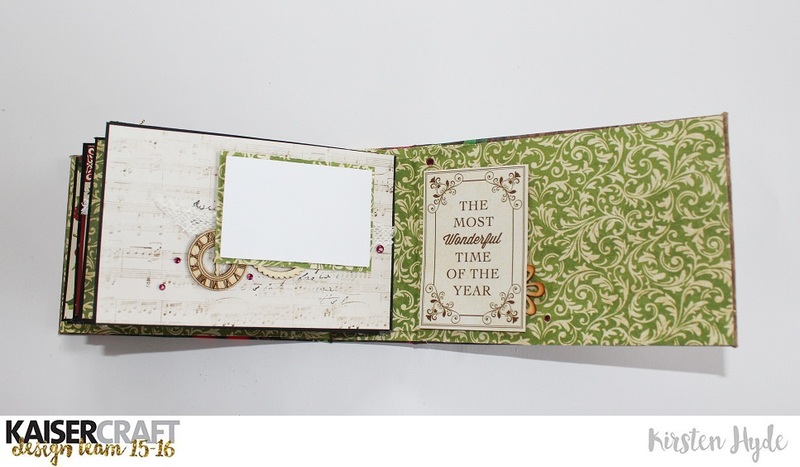 I have used the dies together with the patterned paper, and added white cardtock behind the diecut. 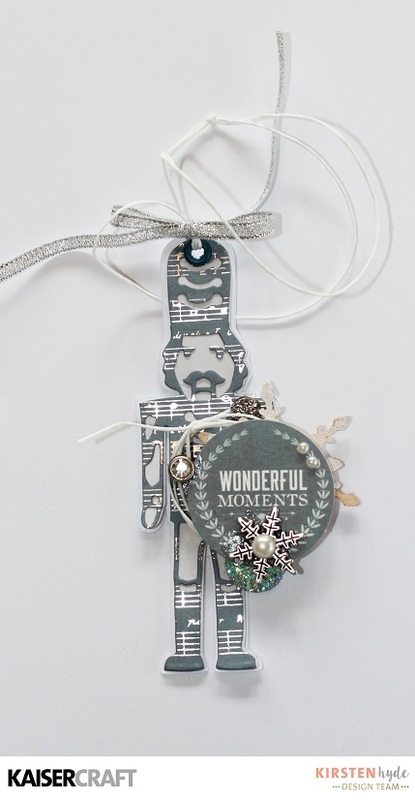 As embellishment, I have used wooden snowflakes and the collectables, together with charms, beads and string. 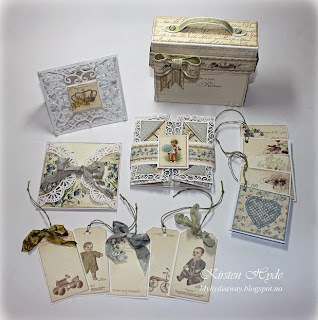 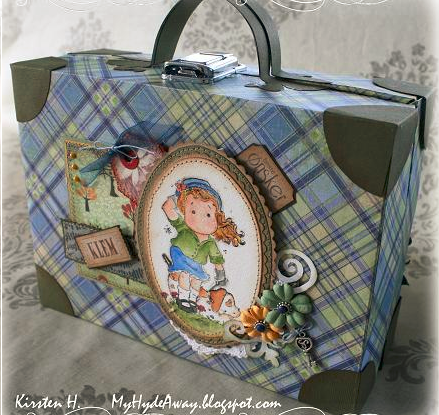 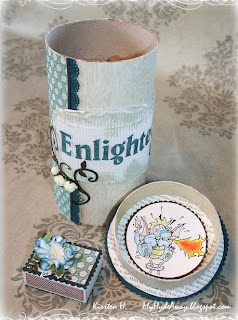 All the four tags are created in the same way, just adding different patterned paper and embellishments. 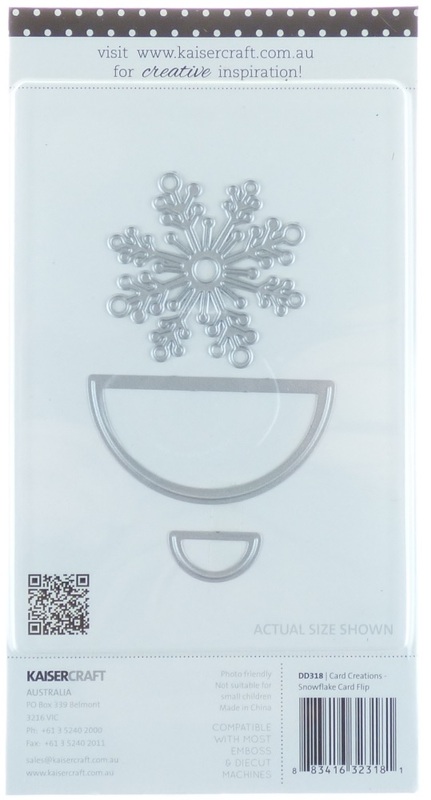 Kaisercraft Products: PP1005 Paper pad |CT864 Collectables | FL584 Flourish Pack Snowflakes | DD395 Nutcracker. Nå er det snart tid for produksjon til julemesser og ting til julegaver, her i Norge. 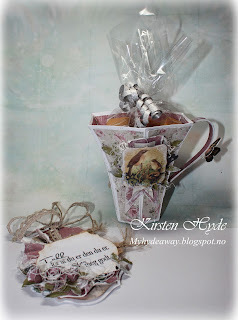 Mange er allerede i gang. 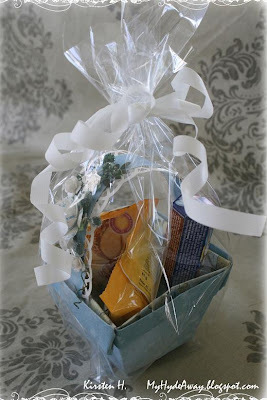 Kort selger ofte dårlig, men det er mye annet som selger veldig godt. Jeg har samlet noe inspirasjon og link til maler og tutorialer som er superfine til julemesser og som julegaver. 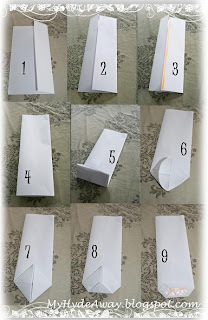 Lampe - tutorial og mal. 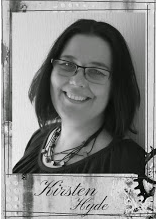 Malen var utgitt i Ett trykk - Oktober 2013. 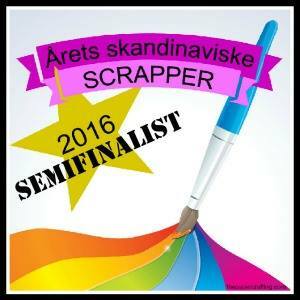 Denne er avangsert. 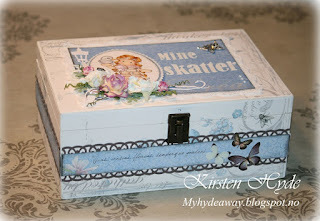 MDF boks, dekket med ark og tema "mine skatter". 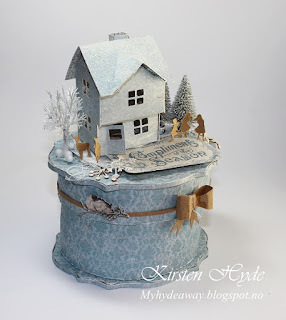 Enkel liten gave fylt med Non-stop. 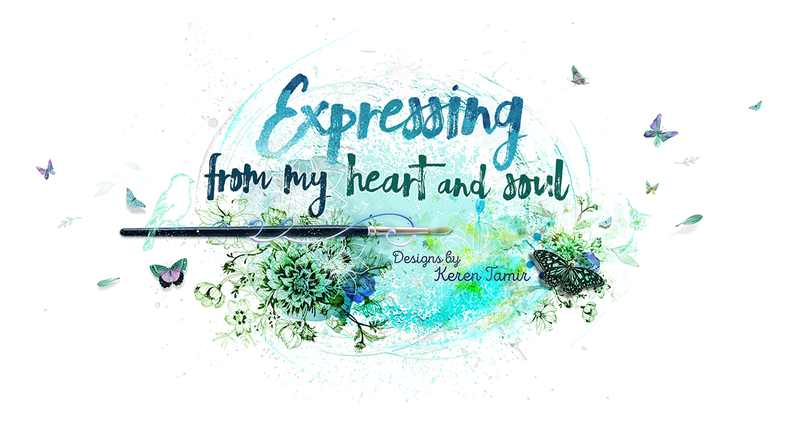 Delbare kuler får du på Hobbykunst. 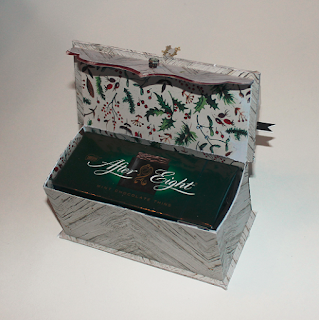 Traktoreggstempel er fra North Star Design "Godteriord"
Boks til After Eight boks (ikke mal). 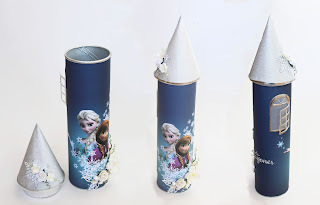 Fylles med feks gave, snop eller kan brukes som verktøykasse for brudapar, 60åring osv. 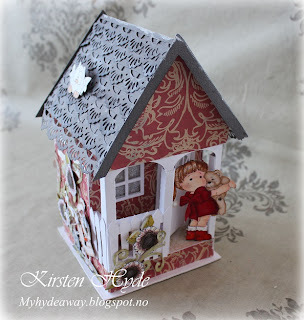 Pyntet torvpotte med plass til gavekort i bakkant. 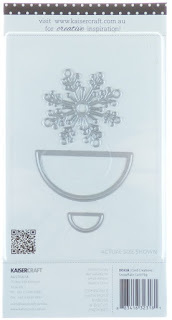 Du kan plassere et lite elektrisk telys inne i huset. 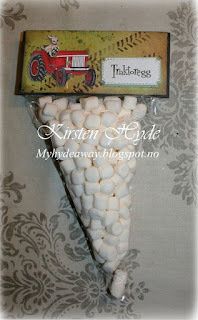 Lykke til med julegave og julemesseproduksjon. 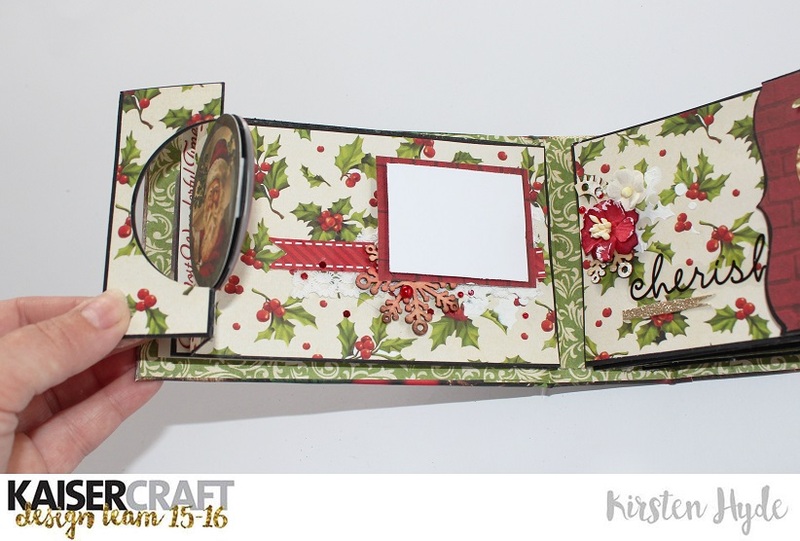 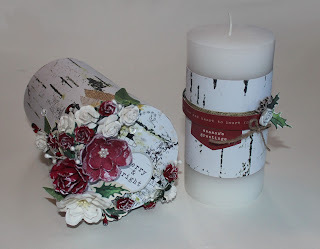 Today, Kaisercraft's design team are showing the Silent night collection. I have created a Christmas box, and decorated it. 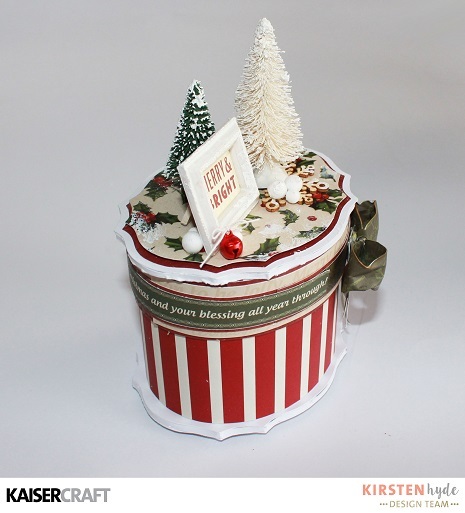 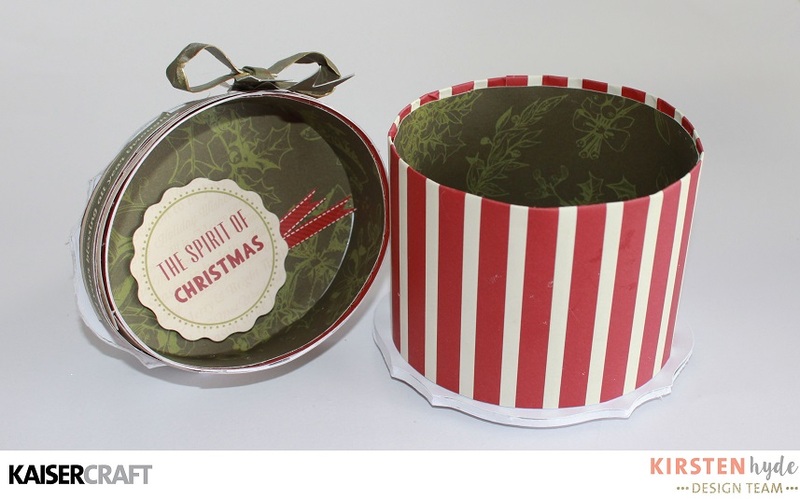 This box can be a super way of wrapping a small Christmas gift, or be filled with sweets as a neighbor gift. 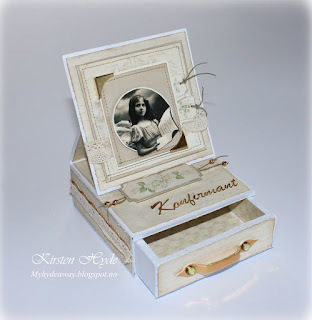 The box is made from this template. 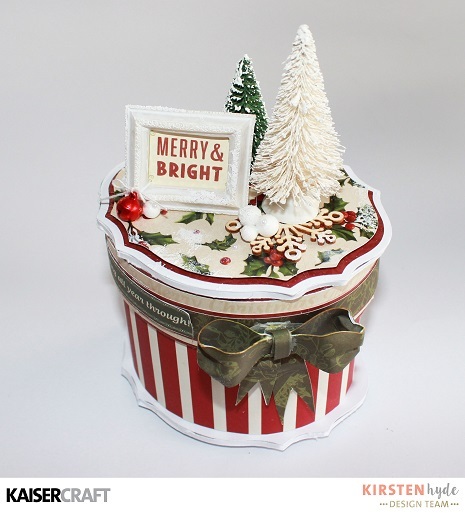 The top of the box has been decorate with a small frame and a few spruce trees. 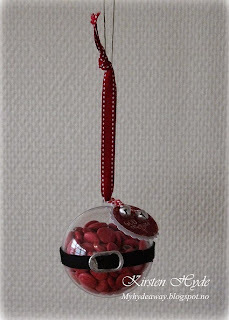 There are also a few "snowballs" with added gesso with glitter and bells, to create the Christmas scene. 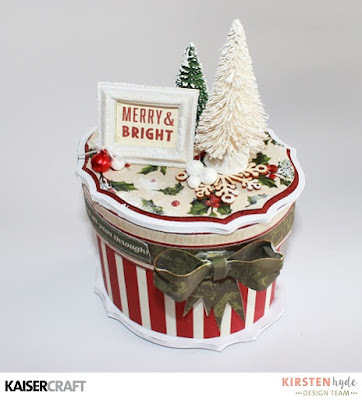 Kaisercraft products used: P2158 Wrap the Presents | P2156 Trim the Tree | PP1004 Paper Pad | CT863 Collectables | FL584 Flourish Pack Snowflakes. 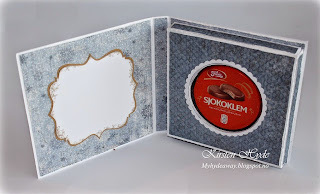 Hvordan ta gode bilder av det du lager?